Several Conservative MPs rebelled against the UK government in a crucial vote on Brexit in parliament. While the country's leaders claim they can and will now deliver Brexit, more potentially bruising parliamentary battles lie ahead - and public appetite for the move could be ever-depleting. 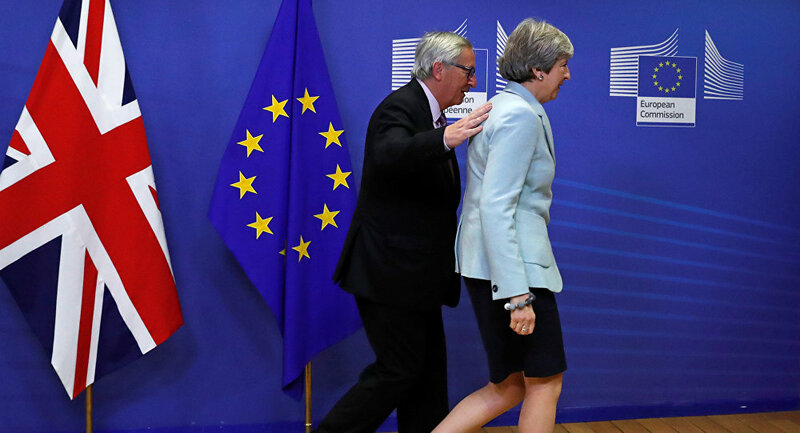 Prime Minister Theresa May headed to a European Union summit December 14 insisting her government was still "on course" to deliver Brexit — despite an embarrassing House of Commons defeat on the issue the night prior. Eleven of her MPs lined up with Labour and the Liberal Democrats to support a key amendment, which means in effect Parliament must be given a binding vote on whether to accept an eventual Brexit deal with the EU. Simon Lee, Senior Lecturer in Political Economy at the University of Hull, said there was clearly not a majority in Parliament for a "hard Brexit" in the event of Mrs. May's government failing to reach a deal with the EU. ​"It is quite ironic last night the amendment on which the government was defeated is of a piece of legislation, the European Union Withdrawal Bill, whose first clause is about stating the principle that Parliament should take back control. The ultimate irony of course is that last night Parliament did take back control…so now the government is now in a very difficult position, it has further weakened its position," Dr. Lee told Sputnik. Next week, rebel MPs could demand another significant change, that the government drop the key date of March 29, 2019 as a deadline when Britain has to leave the EU. Adam Garrie, political commentator and managing editor of The Duran, said a dam had certainly broken — and now there were likely to be more rebellions. Parliament erupts In shouts & cheers! Ayes 309, No 305 — thanks to all who campaigned so hard for parliament to have a meaningful vote on #Brexit — we did it! ​"Pandora's box is open and because the government doesn't have a majority without the DUP even a small rebellion by even a handful of MPs can make a big difference," Mr. Garrie told Sputnik. Mrs. May is in Brussels for a summit with the 27 other EU leaders and she will be pushing her case for the negotiations to move on to discuss trade on Friday, December 15. "I'm disappointed with the amendment. But the EU withdrawal bill is making good progress through the House of Commons and we're on course to deliver on Brexit," she told reporters as she arrived in Brussels. Mrs. May's travails have been made worse by divisions in her own Cabinet with Chancellor Philip Hammond, and more moderate members clashing with pro-Brexit ministers such as Foreign Secretary Boris Johnson and Brexit Secretary David Davis. ​"A lot of people on the Tory side want May out as soon as possible. They realize the polls are saying they would lose the next general election. The zeitgeist is that people don't like a government that stands for nothing and delivers less," Mr. Garrie continued. He also claimed public opinion was turning against Brexit. "A lot of people voted for Brexit because they wanted to give a bloody nose to the establishment but now a lot are saying it's just a big mess and it's going to cost a lot of money," he concluded.